Why do so many of the 2004 Democratic presidential candidates have books out? 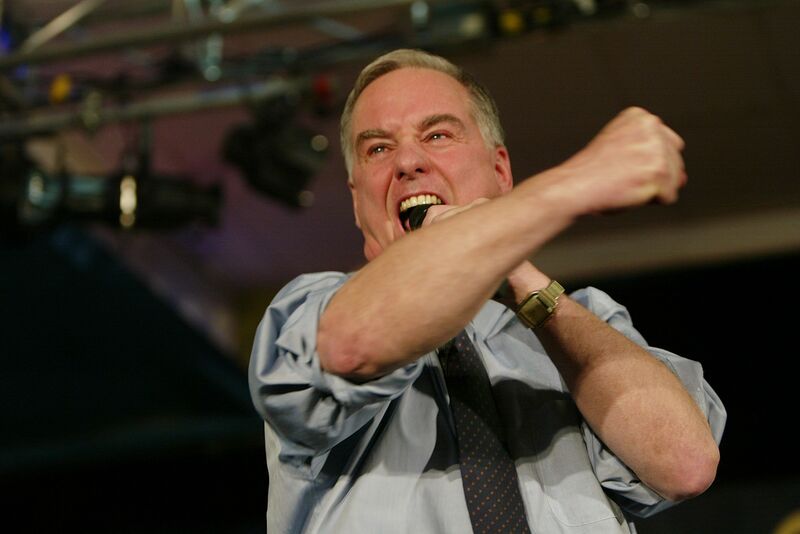 Winning Back America by Howard Dean: “I don’t indulge myself when it comes to clothes. . . . I have a suit that cost $125 at J.C. Penney in 1987.” Well, every son of a multimillionaire stockbroker needs a hobby. A Call to Service: My Vision for a Better America by John Kerry: “I am so addicted to ice hockey that I still fantasize about starting a professional over-fifty senior league.” Too bad that nobody’s told Kerry that he’s also addicted to a primary race he can’t win. A Prayer for America by Dennis Kucinich: This one’s a collection of essays and speeches. The titular speech offers a blustering homage to the Declaration of Independence. In An Even Better Place: America on the 21st Century, Richard Gephardt (with Michael Wessel) offers parenting hints: Read to your children, help kids with your homework, try to make every school function, and spend time with them. It’s nice to know Gephardt’s so in touch with working class realities. Little is said of time and money. The Joseph Conrad Award goes to Four Trials by John Edwards (with John Auchard): “At first it seemed strange that so few people who came into my office were angry. In some ways they were probably beyond anger, for their lives had been altered completely – completely and forever – and they just sought something that could bring it back and make it good again. Anger might come later, or it might have been there before, but I almost never saw it in my office – for now they only hoped that things would change.” With a campaign contribution to Edwards, you can get a complimentary copy. Not unlike getting a worthless trinket after pledging a sizable sum to PBS. And then there’s Lieberman, who offers An Amazing Adventure: Joe and Hadassah’s Personal Notes on the 2000 Campaign, co-written with his wife. The books sounds about as fun as being forced to watch a slide show narrated by some hoary, rambling relative. “A funny thing happened in 2000. I became known for being funny. It began on opening day. At the announcement rally in Nashville on August 8, I told the crowd I was surprised that the Republicans’ first reaction to my selection had been to say that ‘George Bush and I think alike.’ Well, I said, ‘With all due respect, I think that’s like saying the veterinarian and the taxidermist are in the same business — because either way you get your dog back. '” I wonder if that came from Bob Hope’s joke file? Carol Mosley Braun, who has about as much of a chance as Kucinich, has thankfully spared us a book. Not that a book will offer her any additional leverage. Jimmy Carter, on the other hand, just came out with a historical novel, The Hornet’s Nest, set during the Revolutionary War. The Washington Post‘s Noel Perrin writes*, “I had hoped to love the novel, because I so admire the man. Alas, I don’t love it. Mind you, it’s a true novel, with many effective scenes and a few stunning ones…. [b]ut some of the best scenes are only tenuously connected with the American Revolution.” The St. Louis Post-Dispatch‘s Martin Northway notes, “a chilling encounter with a venomous cottonmouth is no time to pause for a treatise on Agkistrodon piscivorus.” The reviews in general have praised Carter’s historical erudition, while quibbling over his lack of character depth. But the great irony is that Carter has seventeen books behind him.